A contour (or custom radius of the blade) is a way to shape the blade from toe to heel to adjust the amount of blade that is touching the ice at any one time. A skate at time of purchase will "come out of the box" at roughly a 10' or 11' radius. Adjusting the amount of "rocker" in your blade will affect your turning capabilities and the amount of power transferred in each stride. Everyone has a different stride, and will like a different radius. 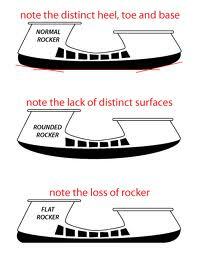 We offer radii of 7', 9', 11' and 13'. The smaller the radius, the more rounded your blades will be, offering tighter turning abilities. The higher your radius, the more blade you will have on the ice and will be able to generate some more power in each stride. 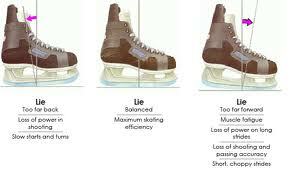 Come in and ask us about contouring your skates, and we can help you pick which radius will be best for your game! *Image above is an exagerated version of real results. Easter Hours, Heures de Pâques.